A client came to us wanting to update her office door hardware to something unique, that really makes her door a statement piece. The client had found a piece of cabinet hardware that they really liked, but needed something more substantial for the large sliding doors. 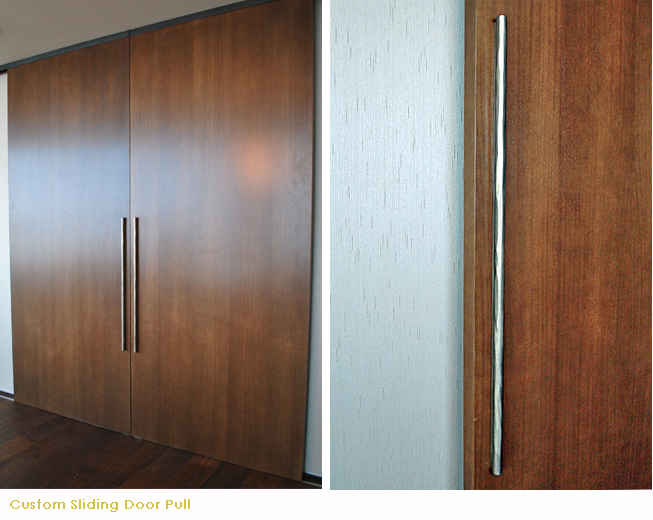 We were able make her Custom Sliding Door Pulls by using her cabinet sample as a prototype and have it made to the specs of the doors in solid bronze. We couldn’t be more elated with the outcome!